Frequent global economic crises have placed employment at the centre of local, national and international development strategies. Together with the changes in the geopolitical and economic scenarios, this has led to a great rise in the importance of the countries of the global South within the development processes. 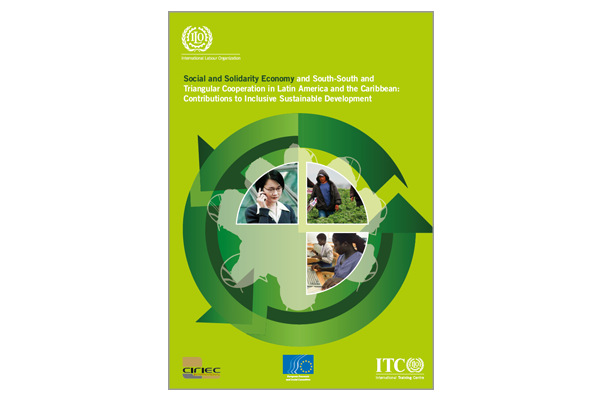 In that sense solidarity gains ground, and South–South and triangular cooperation is a manifestation of this between the countries and peoples of the South, one that contributes to national well-being, national and collective self-reliance, and the achievement of internationally agreed development objectives, including the Millennium Development Goals,2 as advised in the ILO’s South–South and triangular cooperation strategy. Along these lines, the social and solidarity economy takes on fundamental importance, as it upholds the possibility of generation of work, employment and income coming out of the solidarity-based economic enterprises.